History: The flag of the state of Tennessee was designed by a member of the Tennessee National Guard, Leroy Reeves, and was adopted on April 17, 1905 by the Tennessee State Legislature. Design: The Tennessee state flag is crimson with a blue circle in the middle containing three white stars. The three stars represent the divisions of Tennessee into middle, east and west. the blue circle is symbolic of the eternal unity of the three sections of the state. a navy blue bar is included to give the flag distinction when hanging limp. Which way is up? The Tennessee flag does in fact have a top and a bottom and there is thus a correct and incorrect way to fly the flag. Tennessee Law states “The arrangement of the three (3) stars shall be such that the centers of no two stars shall be in a line parallel to either the side or the end of the flag, but intermediate between the same; and the highest star shall be the one nearest the upper confined corner of the flag.” Stamps were actually made by the U.S. postal service in 1976 that featured the Tennessee flag upside down [Link], much like many murals & shirts you see today. -The three “Grand divisions” of the state of Tennessee make the state diverse, yet Tennesseans are united. Each section of the state is unique for different reasons: East Tennessee is known for their mountains, the Cumberland Plateau and two of Tennessee’s largest cities: Chattanooga and Knoxville. Middle Tennessee is set apart by the Tennessee River and is famous for its rolling hills and of course the state capital in Nashville. West Tennessee is very fertile due to its location between two major rivers and is home to Tennessee’s largest city, Memphis. 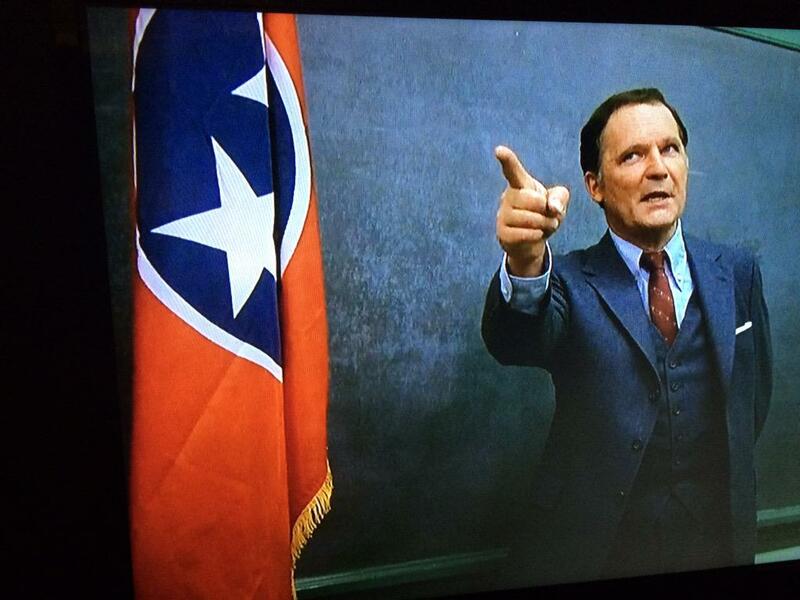 Salute: Tennessee has two salutes to the state flag. Previous articleIs your bottled water coming from a faucet?